The People's Food Plan needs your support! Now is the time to repurpose and refocus as a community. Now is the time to build an economy where growth is valued in annual soil depth and fertility that in turn promotes a health industry, not based on sickness but on living food. Let’s cover the fences and boundaries of a divided world with edible vines and plants that produce new visions and innovations worthy of the potential we have around us. Creativity to drive a world fueled on regenerative and renewable sources requires new industries, new thinking and less baggage from a world paradigm whose time is passed. This is a very powerful story, one that can change – is changing - lives and communities. We’re asking now for you to help us take it to the next level. We want the whole country to hear about this, the great work we’re all doing. Will you help us take that next step? Please give what you can, and share this message with your friends and networks. Together, the future is in our hands and hearts. In hushed voices amongst ourselves, we've been saying for a while that there's a nascent food growing thing happening around us here in Moreland and in Melbourne more widely. We think more people are doing it, the nodes in our networks (where information is exchanged, people meet and cool stuff happens) are getting busier and it's pretty cool to see. When it comes to teaching our kids about the importance of sustainable, healthy, ethical food production not to mention the shear joy of growing something you can eat, there are some awesome, inspiring, exciting things happening in our primary schools with food growing. 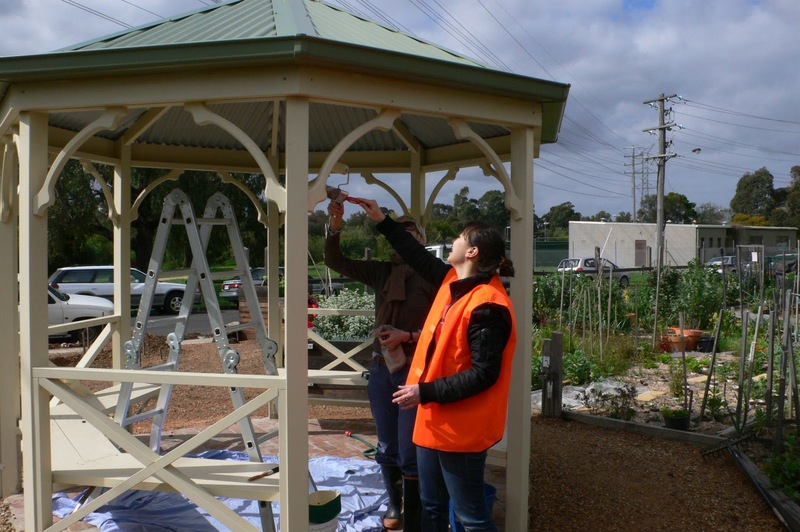 Some of this is getting done by parents and teachers or through organised programs like Stephanie Alexander Kitchen Garden Foundation's schools program or with support from other groups like Cultivating Community. This is all great and we need more of it for sure. On top though, we also need to ask "What are we doing to make sure this continues as our kids move into secondary schools?" I reckon the answer is sadly "not much" but at least someone is doing something. 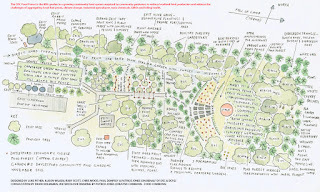 Last night I heard about a 5 acre food forest project that's going ahead in Daylesford at the Secondary College, (the 5th new community garden in the area in 2 years). 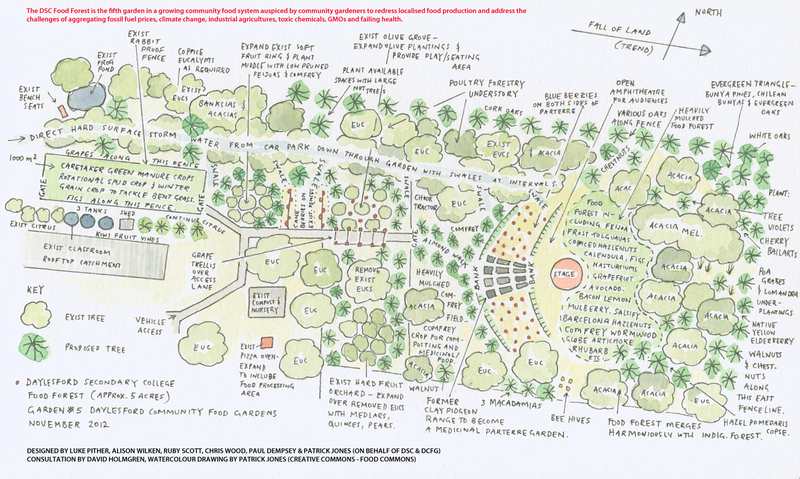 Part community garden, part educative resource, the DSC Food Forest will be a first of its kind in Australia. It will have an emphasis on growing ethical, local food in an ecologically restorative way and will teach students and the wider community how to climate change proof our food supply while attend to greenhouse gases by growing locally, perennially and organically. So what? Well, you might be aware that thanks to the hard work and relentless efforts of some folks in Moreland who embedded their aim in their name (High School for Coburg), we're expecting an all-years, open entry high school for the 2015 school year. Wouldn't it be great if we did something along the lines of the Daylesford project. at our Coburg High School, right in the heart of the city of Moreland? Want a fantastic alternative to slogging through the Christmas queues in the city or at your nearest shopping centre? Here it is - get down to the West Brunswick Community Garden on Sunday 23rd December between 10am and 4pm for their next Big Dig. Let's face it, if you need to shop and you haven't done it by then, well you've still got Monday! 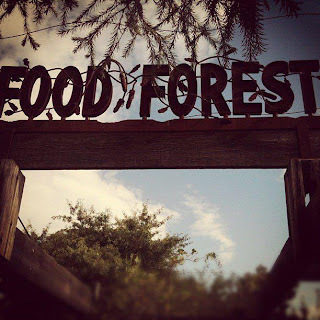 It's their last get together for the year and they'll be digging in celebratory mood after what's been a big year for the food forest and the garden. Get down there and get stuck in! Come for the whole session or just a couple of hours, every bit will make a difference. No doubt they'll finish up with a cool refreshing drink and a good laugh. As usual bring a plate, a drink, gloves, a hat and suncream! 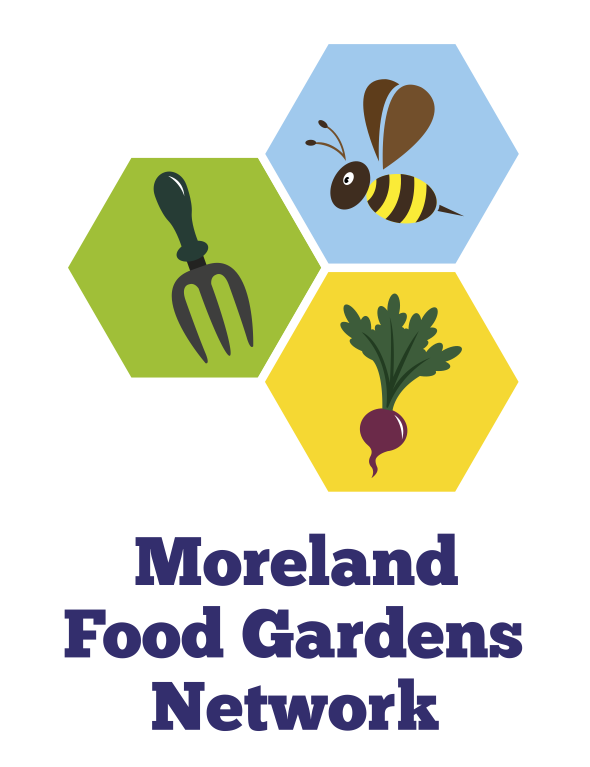 Check out the Moreland Community Gardening website for more info. Oh, one more thing, those who are successful in their personal plot applications will find out which plot is theirs! Surely you want to be there for this history-making moment. 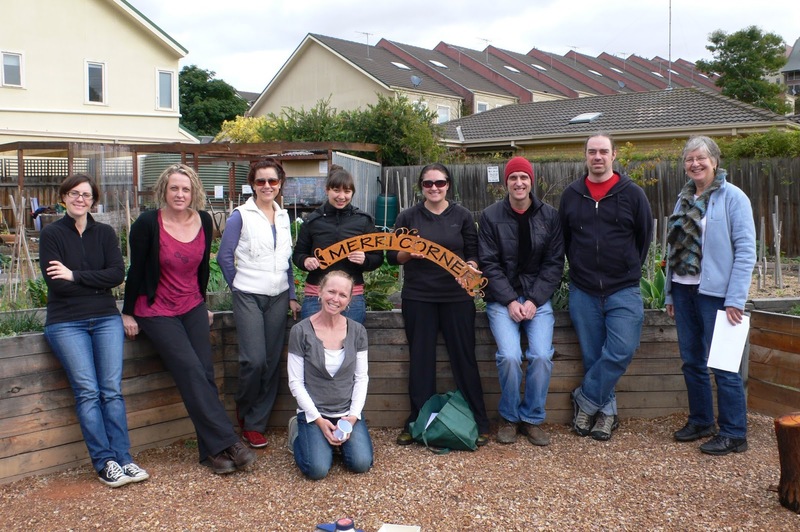 In October 2012, a few of us from the Moreland Food Gardens Network (MFGN) got together to discuss the People's Food Plan and explore ways in which we could create a fair, sustainable and resilient food system. 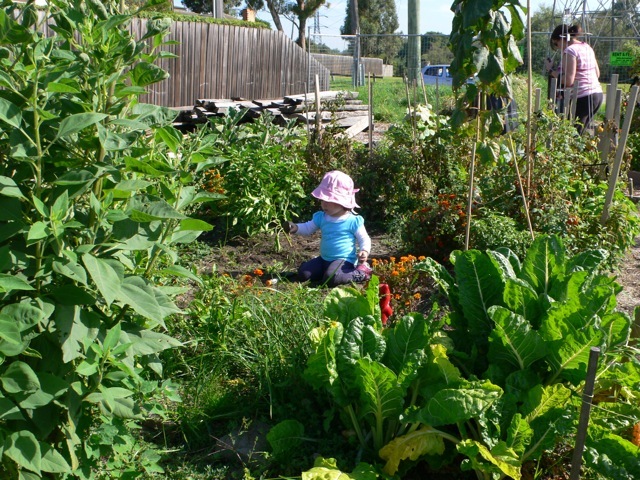 People's Food Plan from Moreland Food Gardens Network on Vimeo. What's the People's Food Plan? The process for establishing the People's Food Plan (PFP) was initiated by the Australian Food Sovereignty Alliance (AFSA) in response to concerns around the content of the National Food Plan Green Paper. In an earlier post we mentioned some of the issues highlighted by AFSA members regarding the problematic assumptions in the Federal government's Green Paper. The People's Food Plan is a social movement, call for action, a participatory & democratic conversation that aims to create a fair and healthy food system. PFP aims to include all Australians, unlike the National Food Plan which seems to benefit large agri-business & retailing corporations! For more information about the People's Food Plan & how to get involved, visit AFSA's webpage. We hosted our first PFP conversation over a Food Swap. The evening was hosted for MFGN members by Merri Community Health Services & CERES Environmental Park with support from AFSA. We explored some of the issues outlined in the People’s Food Plan discussion document, identified policy ideas and collated people’s food stories and visions for a local food system. We also talked about how we can get better at including disadvantaged & vulnerable groups into new or existing local food projects. So we established scenarios & visions for the future. There is still a lot of work to be done! However, we found that this was a great way to inform future projects for MFGN & our advocacy agenda for 2013. We collated our feedback and sent it to AFSA to incorporate into a revised PFP discussion document. This document will be launched around the country this month (Dec 2012). We also plan to take part in Stage 4 of the PFP consultation which aims to "broaden and deepen the public engagement with the revised People’s Food Plan discussion document, through the formation of working groups on specific issues, the writing of background papers to support the People’s Food Plan proposals, and the holding of further public forums and kitchen table talks February – July 2013" (as described by AFSA). Our next PFP event will be open to the public & we look forward to having you onboard... so stay tuned! In the meantime, please share our video & get the word out about the People's Food Plan. 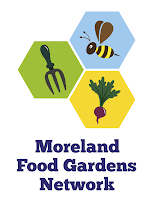 If you would like to join our next PFP event, we'd love to hear from you - drop us a line on morelandfoodgardensnetwork[at]gmail.com or if you'd like to host your own PFP conversation in your neighbourhood, please get involved directly through AFSA. MCCG - Veg In, Veg Out x 2, Busy Bee and BBQ - this weekend! 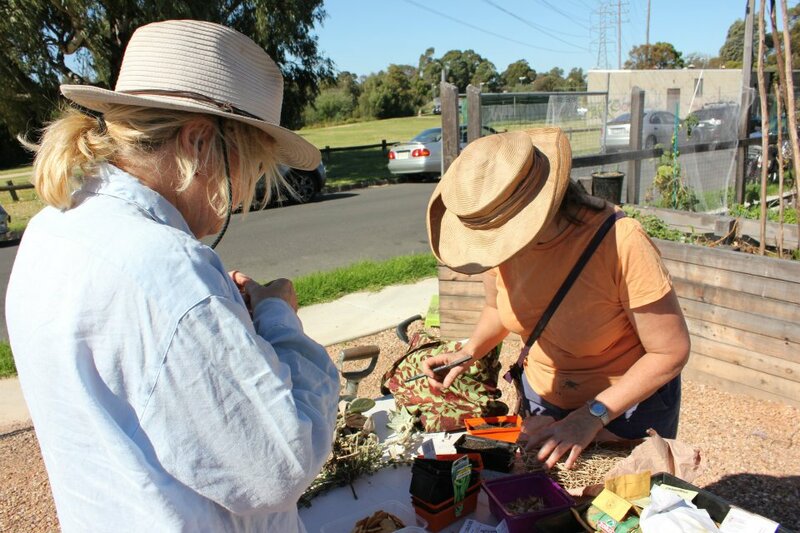 We have a big weekend of events coming up this weekend at the Merri Corner Community Garden (corner Donald & Harrison Streets, Brunswick East) and we'd love to see you there. All welcome, not just plot holders, and no need to RSVP. Saturday 8 December - Kids Veg In, Veg Out! Come along at 1.30pm on Saturday 8 December to help build a teepee and plant some beans around it for this special kids-edition of Veg In, Veg Out. Busy Bee at the MCCG including a free compost workshop at 11.00am for those who are interested. Join us for the last Veg In, Veg Out of the year. Plenty of FREE tomato and pumpkin seedlings to give away, shade cloth to put up in the propagating area, we'll plant sunflowers in the communal beds and harvest poppy, rocket and sweet pea seeds to share. Join us for an end of year sausage or veggie burger and celebrate the MCCG's progress this year. Barbecued things, bread, onions and sauce to be provided by the MCCG. Please bring a plate to share and enter it into the inaugural MCCG Cook-off. All dishes will be judged by an independent team of culinary experts and prizes will be awarded in all categories, and for all entrants. We'll have esky's and ice available in the morning for you to store your cook-off entries until lunchtime and we'll be taking last-minute orders for the MCCG wine fundraiser. Thanks to everyone for a wonderful year of gardening and support of the garden. We hope to catch up with many of you on the weekend.